Let us start with breaking news about the brilliant itinerary that the Carnival Splendor will be doing in 2008. Here it is: Carnival Splendor is slated to debut July 13, 2008, with a 12-day Northern Europe cruise departing from London (Dover) – the first of five voyages within the program. Other departure dates include July 25 and August 6, 18 and 30, 2008. Guests will have the opportunity to experience and explore a spectacular variety of historical and cultural attractions including St. Petersburg’s extraordinary palaces, Berlin’s Brandenburg Gate, Amsterdam’s Vincent Van Gogh Museum, and Copenhagen’s Tivoli Gardens just to name just a few. 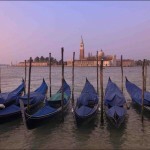 12-Day Mediterranean, Greek Isles Voyages. Following its Northern Europe cruises, Carnival Splendor will operate on a special one-time 12-day western Mediterranean cruise departing London (Dover) Sept. 11, 2008, and arriving Rome (Civitavecchia) Sept. 23, 2008. The voyage includes port calls to Le Havre (Paris), France; Vigo, Spain; Lisbon, Portugal; Malaga and Barcelona, Spain; Cannes, France; and Livorno, Italy. Carnival Splendor will then operate one Grand Mediterranean and two Mediterranean & Greek Isles cruises round-trip from Rome (Civitavecchia) Sept. 23 – Oct. 17, 2008. The 12-day Grand Mediterranean cruise will depart Sept. 23, 2008, and call at Naples and Venice (two-day call), Italy; Dubrovnik, Croatia; Messina, Sicily; Barcelona, Spain; Cannes, France; and Livorno, Italy. HERE BELOW IS THE WEB SITE LINK THING SO CLICK ON THIS AND SOMETHING WILL TAKE YOU SOMEWHERE TO GET TO THE PAGE ABOUT THE SHIP. THE BALTIC CRUISES are expected to SELL OUT very quickly …………..BOOK NOW AND LET ME KNOW WHEN YOU HAVE BOOKED AND I WILL MAKE SURE WE HAVE A ‘BLOGGERS GET TOGETHER’ ONBOARD. How does that tickle your fancy ? The Baltic Run is the same that we did on the Leg End and I can tell you it is astonishing. Let me know what questions you have about it but I can tell you that that first cruise on July 13th will be extraordinary…………………anyone coming?. I am…………………Let me know if you are. So many of you have booked for the BLOGGERS CRUISE on the Carnival Freedom in January already which is fantastic, I hope many more of you will do so as well. Today, we are in Civitavecchia and the last day of the cruise brought some early morning drizzle which was the first bad weather of the cruise…shame really but overall has been beautiful. However, today we encountered a problem which although impacted many of our guests was something we could not control. The Vatican is the most visited tourist destination in the world and there are always lines to get in. However, today the lines were excessively long with waits up to three hours to get in. This meant that some of our guests on the regular tours to the Vatican had such long waits that some did not make it into the Vatican before it closed. Luckily, because of the tour operator we use who has great connections with the Vatican itself we were able to have them visit after it closed to the general public giving them an private view of the Vatican City which is a most memorable experience. However, some guests were still upset at the wait and wanted to know why I had not told them the lines would be so long and that it should be something Carnival should control better. Of course, I tried to explain that the Vatican was not under our control and that today 25,000 people had attempted to visit. Some understood, some did not. My advice, if you can, take our private View Tour which offers a full tour of this incomparable place after it closes. There are no lines and no waiting. Whatever you decide to do though, the Vatican remains a “must see” destination . So, quite a stressful day for me and I sit here at 5:45 am ready to start debarkation feeling quite tired. Overall it has been a good cruise with some great characters and some great people especially Robert and Suzann Schneider who were sailing on their 40th cruise and most of those have been with me. Great people and great friends. Heidi is on the gangway organizing everything and I am sitting here…………………time for a visual…………….in my Carnival Bathrobe and I can tell you that the label is not correct as one size does not fit all! Thank you for your kind words and the reference to the Love Boat. Julie McCoy has always been a role model in my life. We are very similar except I have nicer legs. Please keep reading the blog thingy and I hope to see you and the rest of the Missingthesmokefreeparadise family. SHARON S – I just spoke to our Shore Excursion team and we will be adding more tours for Positano, Pompeii and Sorrento. The terraced houses are a little more difficult as entrance is restricted. Let me know if you are undecided what to book and I will help you out. My suggestion for Naples is the POMPEII, SORRENTO AND CAPRI tour. 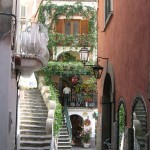 Here is a photo of one of the many tiny streets in Sorrento. Hope to hear from you soon and of course I will see you very soon. BILL – 4500 PHOTOS, now that’s a man who likes to take pictures. I will take some photos of the Club O2 and add them to your very impressive web site. Thanks for adding the link as well and for the offer to “stuff my ballot box” …..sounds painful but I am sure the rewards will be worth it. The Carnival Pride is a beautiful ship so I understand that having booked it you will not be able to do the bloggers cruise…although a back to back may be a great idea? 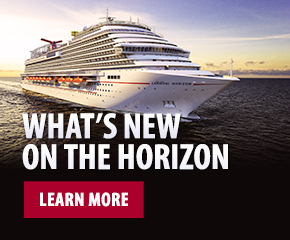 Carnival Splendor is going to be a new design as well with lots of new features so I am very excited to see her and hopefully you as well and YES we will have ice cream cones! Until the next time, stay well and hope to see you soon and thanks for being such a great supporter of the cruise industry and this blog thingy. PAM – Good news all round really, as you will be on the Splendor and so will I. As you can see from the itinerary above that it is going to be an exciting cruise and I suggest you do book quickly as I am sure it will go quickly, especially the Baltic Cruises. I think you will get to meet quite a few bloggers on the ship and we can all discover this fascinating part of the world together. Also as we sail from Dover you can all come to my house for tea and then we go to Amsterdam so we can all go round to Heidi’s for dinner. Thank you also for your kind words about Wee Jimmy and Amanda, I have also forwarded them a copy of this. See you soon and my best regards to you and your family. P.S. – as you work for Office Depot, can I get discount on stapler? PETER TURNER – How’s Manchester? It will not belong before you are here so pack your shorts and sun cream as the weather looks great. We will not be showing the FA CUP on the big screen but it will be broadcast in our Sports Bar………….so we can watch Manchester hopefully beat the blues. Looking forward to meeting you all. BIG ED – 2009, now hang on a minute mate, I know you are my head of security and chief C.R.A.P. but I did not know you were organizing my CHIEF OF LOGISTICAL OCEAN NUMBERS ( C.O.L.O.N. ). The Carnival Splendor would be a great place to have a bloggers cruise though. By the way mate, your business card is going to look great after all these new jobs you have. BIG ED. C.R.A.P., P.I.S.S.E.R, C.O.L.O.N. ……………. As far as the cruise is concerned I have again asked the office to look into this for you and you will get something today. Now, just in case you do not get to come on the bloggers cruise, I will stay onboard and be the CD for the 26 so that we can meet, as you have given so much to this site. Say hi to Mrs. Big Ed and tell her Ocho Rios is wonderful, let me prove it to her. MARCIA – I love the idea of an FAQ site and I will discuss this later today with the guys in the office. You are correct in saying that it does take a lot of time to answer all the questions and I will keep doing so as long as time permits. It would be marvelous if you could sail on the bloggers cruise and we could all meet together. I think it would be the start of many new friendships. Thanks again for your support of the blog thingy and please keep reading. ANN MARIE – THANK YOU ! LINDA AND MIKE THE MAN WHO IS HANDY – Thaks for your interest in the Bloggers Cruise and if it goes well (which I am sure it will) there will be another one for sure. The Sensation and Carnival Triumph will be docked close to each other in Nassau. I suggest that you arrange to meet by the main entrance to the pier itself, that way you won’t have to walk to each others ship. Just meet by the security building which leads to all the piers. Please let me know if you do not receive the information on the Bloggers Cruise and I will investigate for you. Have fun on the Carnival Triumph and keep Mike out of the engine room! PAUL – No need to thank me. Your loss is felt by Heidi and I and you and your family have been in our thoughts. I also am happy to see that I am not the only one who has messed up with a birthday card. I am still in the dog house but have a cunning plan to get myself out of it. I will let you know mate. MAXWELL1100 – I am not familiar with the Rome Shuttle Service however some of the readers of this blog thingy may be. However, we do start debarkation at 6 am so a 7:30 am pick up is no problem. I am glad you like the photos and I will keep posting more for you and the other blogerists. Hope to see you soon. My Dad is a huge collector of steam trains and American classics and will be very jealous when he hears that you worked with trains. His favorite engine is called a “Big Boy”…………….rather like his son ! KATHY KROLL – SID NELLER was a real trip and he became quite famous last cruise. I am sure you will be a bit sad that you cannot be with the rest of your dancing alumni but you will be in Athens exploring the Acropolis and having the time of your life. I had a look at the Web site and I bet they could still put on a great show. Are you going to dance in our Talent Show? The weather is going to beautiful and I am m sure it will be a cruise to remember. BIG ED – Heidi here. 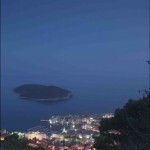 Your photo album is beautiful and I have forwarded the link to all my friends on other ships and back home in Holland. 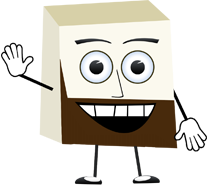 John is really looking forward to seeing you and sitting in the booth! You two will for sure have lots of fun together. DALE BENDER – I cannot believe you will be visiting my home town of Southend on Sea. I recommend THE ARCHES for lunch or dinner (taxis will know where to take you) and as for a local pub, you must go to the CLIFF PUB. My mate Alan Adkins is a regular and there every night. Just ask the bartender for Alan and I will make sure he looks after you. Have a great time and let me know how your trip goes. VICKI AND MATT – Heidi here. Thanks for the offer of the gift. I think I should wear the blood vile around my neck and Angelina should be forced into wearing a pair of his underwear round her neck and see what’s she is missing. Thanks for the birthday wishes, did you hear about my Happy Divorce card? JO AND DAVE – OK. As requested here is something about Athens. Carnival Freedom actually docks in Piraeus which is about 30 km outside of Athens. Athens is the largest city and capital of Greece, located in the Attica periphery of central Greece. Named after goddess Athena, Athens is one of the oldest cities in the world with a recorded history of at least 3,000 years. 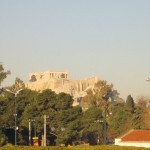 The most visited site in Athens is, of course, The Acropolis. 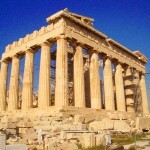 We have many tours that go to the foot of the Acropolis as well as actual visits inside. Come along to my adventure talk and I will hopefully tell you which package is best for you. Here is a great photo of the Acropolis for you. Hope to see you soon. BONNIE PRINCE CAHRLIE AND HIS PRINCESS – I am so excited to hear that you are taking THREE CARNIVAL FREEDOM CRUISES with me. I am going to have a guest blogger this cruise who will go over in detail the Platinum Club Awards and I will address again your request. I have a HUGE HUG waiting for you. See you soon. LEONA – I have a feeling I am not going to live down my little faux paus with the birthday card. Heidi is now reading your comment and laughing about the T-Shirt. Thank goodness they don’t make it in my size. I am still well in with the dogs but I hope to be out soon and have a plan underway to assure that I am crowned the King Of Romantics…fingers crossed. Matt – here is the answer from the great guys in the office who look after the site. We try to update the blog as much as possible and at times, especially on the weekend, it may be a little bit more difficult for us to update. Just know that we’re working to provide all our of great bloggers with great information and the latest updates. As for maintaining a word count of 2,000 words, I don’t really have time to count them but I do try and post as often as I can. Thanks for reading and let me know any other suggestions you have. Hope to see you soon. It is now 11 am and we have just started embarkation for the first of this seasons Grand Med cruise. 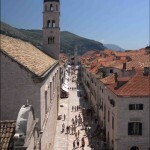 I am particularly looking forward to going back to Venice, Dubrovnik and Cannes, three of my favorite ports of call. I have many happy memories of these ports from last year on the Carnival Liberty and it will be great to visit them again. Just finished looking at the guest list for this cruise. We have 250 passengers from Russia and 120 from Australia with most other guests coming from the U.S.A. and Canada. Did you know that we rent Motorola radios onboard? Indeed, we do. Ladies, they are great to keep in contact with your husbands if your man successfully loses you onboard. However, they have become so popular that everyone has them on 24 hours a day including in the showroom. This happened two days ago during the Debarkation talk. There is a lot to remember and concentration is vital to make sure you get across, precise and clear information. So, there I was in full flow when I hear the squelch and static of a radio. I stopped and asked whose radio it was. A rather sheepish man put his hand up and said “Me” in a very guilty voice. I asked who he was talking to on the radio, and he said “My wife on the Lido Deck.” I asked him (on the microphone) why she was not here with him at the Debarkation Talk. He said, she didn’t want to come and is relaxing in the sun and made me come on my own. I asked the man for his wife’s name and excusing myself to the 1,500 guests in the lounge I ran (OK, walked fast ) to the purser’s information desk. I then made an announcement over the PA system that we had just completed a raffle and the winner was DORIS GILSON (the man’s wife) and she had five minutes to come to the main lounge and collect her valuable prize. Yesterday, we reached over 186,000 hits and I continue to be amazed.